While the UBI market is continuously growing and evolving faster than ever, at its core is the capability of the insurers and of their service providers to capture and understand the data coming out of the vehicle. And the news today is full of major insurance carriers on recruiting sprees, desperate to acquire the best minds in the field of data science. In the last 5 years, as the quantity and variety of data has multiplied, the analytics element of Usage Based Insurance has become an art in its own right. As we launched the 2016 UBI Study, we realised it would take much more than another section to cover this area, and decided to issue an independent report on the topic. 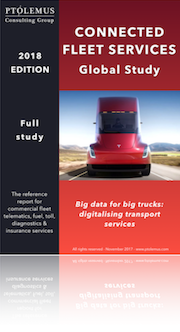 Today, we are delighted to announce the launch of the Connected Insurance Analytics report, the most comprehensive independent research on the insurance telematics analytics market. 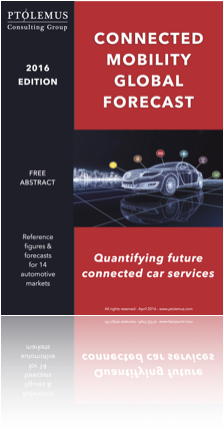 The report details the essential requirements for actuaries, marketers and data scientists to derive predictive, sensible and understandable conclusions from Big Car Data. To do that, it goes through the methodology to process analytics data, including collection, staging, filtering, enriching, storing and exploiting. The results of our research produced 20 best practices, including recommendations on how to record and process driving data, score drivers and interact with them. 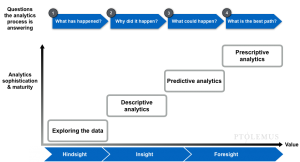 An in-depth analysis of the journey from basic to advanced analysis. How to start in analytics? What datasets use to calibrate a score? What are the real causes of accidents? 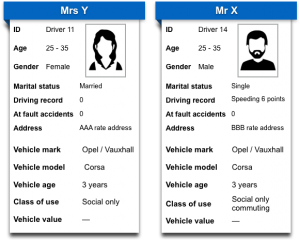 What difference between driver behaviour and driving behaviour? 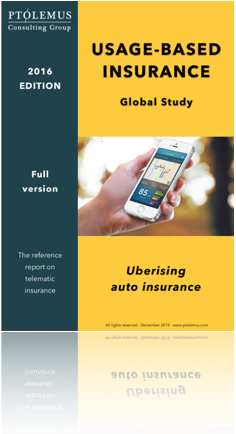 Why are Unipol and Allstate spinning off their telematics business? What data do most insurers collect? What data should they collect? 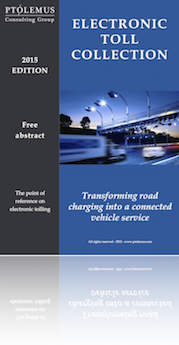 Can telematics reduce drivers’ risk in a sustainable manner? 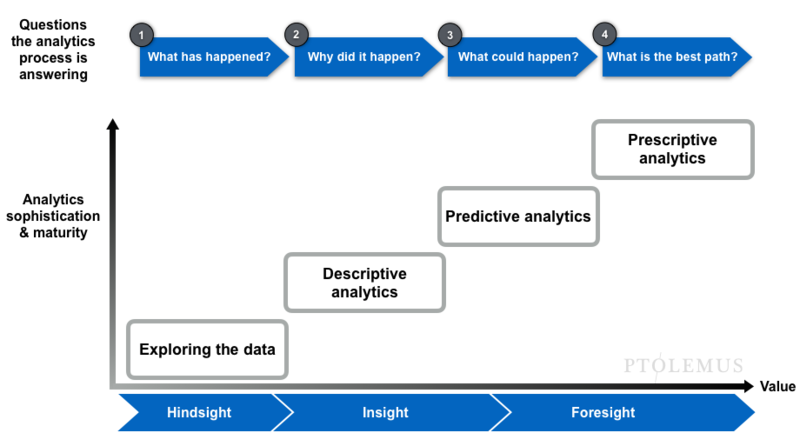 What is the impact of driver feedback on risk? How to build my Claims 2.0 system? 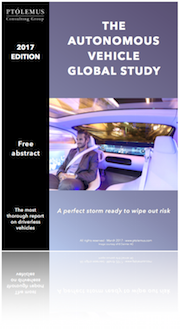 What data will be required for driverless cars? 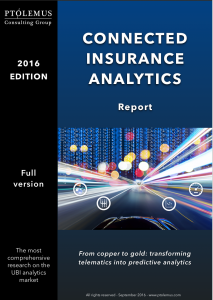 Who are the leading insurers in analytics? Who are the most experienced suppliers? 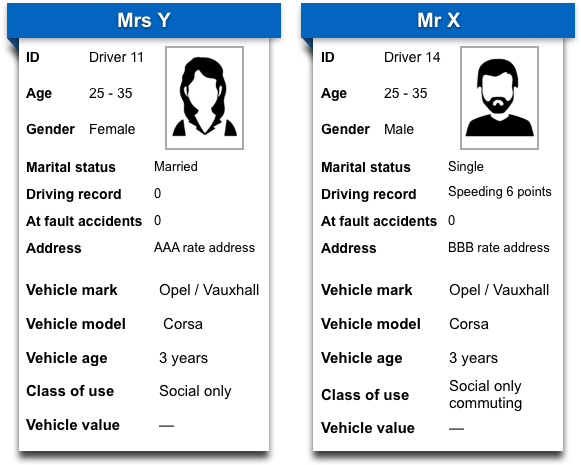 PTOLEMUS used its own driving data to illustrate the analytics methods explained in the report.